FRED DE SAM LAZARO, correspondent: Two decades after Mother Teresa’s death, the daily procession of admirers and worshippers hasn’t abated at the “mother house” of the Missionaries of Charity. If anything, it ticked upward after her canonization. We followed a group of students from St John Vianney Seminary in Minnesota, whose ten-day visit to Kolkata was funded by a private Minneapolis benefactor. JOE DOMINA (Seminarian): The mission was for, at least for me to dive deeper into the life of Mother Teresa, to just see a little bit about how she lived. DE SAM LAZARO: They came to immerse themselves in the work of the diminutive Albanian-born nun, who founded one of the most recognizable faith-based charities: 4500 nuns and priests in 700 centers on five continents. Kolkata, the crowded megacity where it all began, has always loomed large in their work; it’s poverty, still vividly on display in some neighborhoods, jarring first-time visitors like the Midwest seminarians, traveling on this day to a leprosy center. RYAN ANDERSON (Seminarian): The horns of the cars that ring in your head throughout the night, all these dogs, the smells in the air that just kind of smack you right in the face, and you're not able to get away from them in any way. DOMINA: It’s been hard to grapple with. You see it but it kind of feels like a movie in a lot of ways, so it’s not very real. DE SAM LAZARO: Before coming here, for example, most had no idea that Hansen’s disease—or leprosy—is still around. Antibiotics can cure Hansen’s disease, but not the stigma. Patients and their families live in this large complex started by the Missionaries of Charity—producing crafts and textiles to earn an income. PETER LUDWIG (Seminarian): The sisters don't go out and try to fix the society. They really embrace the culture that they're in, find people, the absolute poorest of the poor. It's what's so different about Mother Teresa. She doesn't go and try to fix all the problems in the world. She goes out to love, to bring love into the problems of the world. DE SAM LAZARO: For Mother Teresa’s critics, that approach had serious shortcomings, one which they said treated symptoms of poverty, not the disease. One of the earliest criticisms leveled at Mother Teresa’s organization is that it provided sub-standard care for the sick and the dying in its facilities. 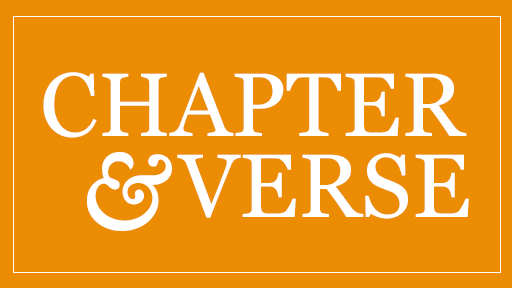 In response, the sisters agreed to make improvements, and from all accounts those have happened. But cameras have never been allowed into these facilities for years now. Missionaries of Charity has long shunned the media spotlight and did not respond to our request to film and for an interview. The organization’s finances are not disclosed publicly, critics say, and recently it stopped placing children in its care up for adoption after Indian law made single people eligible to adopt. A spokeswoman expressed concern the children could end up in gay households. Mother Teresa often swam against social tides but stayed true to her beliefs, says journalist Sandip Roy. 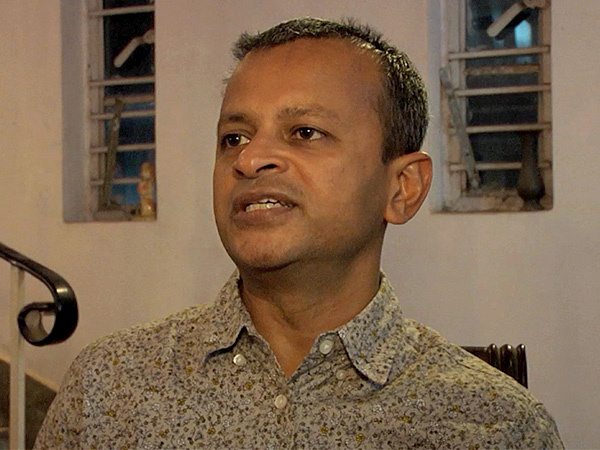 SANDIP ROY (Journalist): She was a Catholic nun, and that dogma was part of her calling. If she was not, you know if she was a much more pro-gay, or pro-choice, or all of those things that we associate with what we call progressivism, she would not be Mother Teresa, the Catholic nun. DE SAM LAZARO: That calling included a vow of poverty and service to the poor and the suffering, and Roy says that may inform the order’s approach to its mission. ROY: There is a certain perception of a nobility in suffering, too, which is not necessarily how we would—the metric that we would use to judge the quality of service being offered. 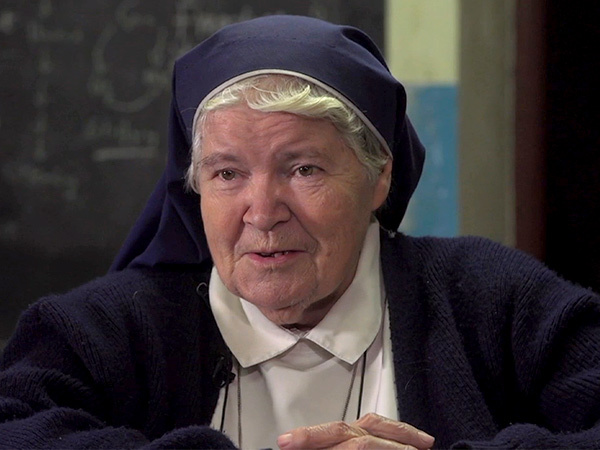 SISTER CYRIL MOONEY: I came to India in 1956. She was one of the first people that I met. There was a holiness about her, which, you know, at the time struck me as being different to other people. 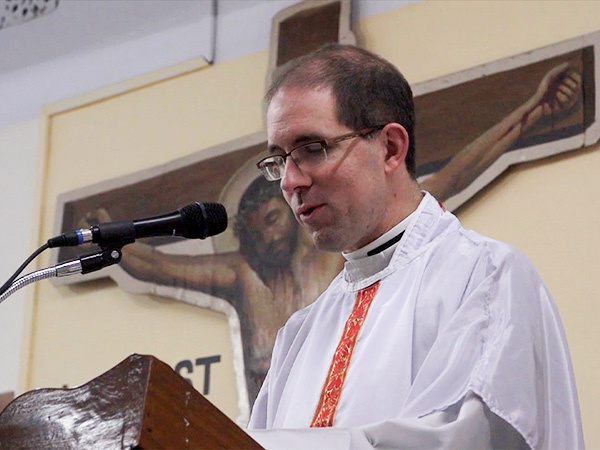 DE SAM LAZARO: Sister Cyril Mooney, a veteran Kolkata missionary and educator, was a friend of Mother Teresa, who sent many poor children to schools run by Mooney’s Loreto order. She says Mother Teresa’s laser-sharp focus on the very poorest might explain why her services and facilities are spartan and simple: a refuge for those on society’s most desperate margins. SISTER CYRIL: Her argument was that if we give them very good care, gradually all the well-off people would crowd in and take over. That was an argument. DE SAM LAZARO: You sound skeptical. SISTER CYRIL: I am very skeptical about this, but you can be skeptical about one’s methods of procedure and not necessarily be skeptical of the results. DE SAM LAZARO: You’re an admirer of hers, but not necessarily of her methods? SISTER CYRIL: I admire her for her courage, her humility, her way of doing things in the sense of by way of getting what she wanted, but for other people, never for herself. 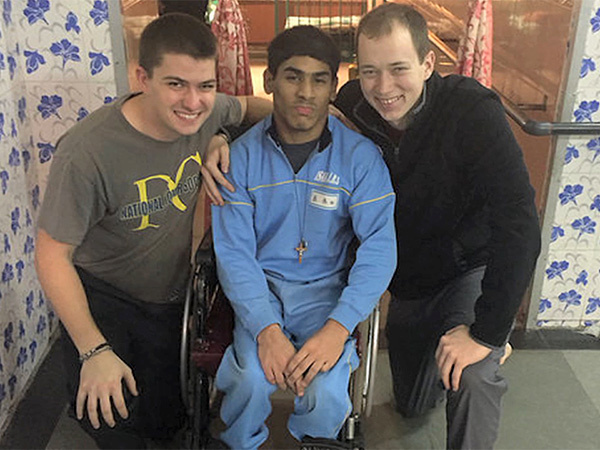 DE SAM LAZARO: It’s that selflessness that the Minnesota seminarians say most impressed them during a week of visiting and volunteering at Missionaries of Charity facilities. MATT JAKUPCO (Seminarian): We do our volunteer work for a couple hours, and we come back absolutely exhausted. We've only been here for like six days, but it's taken a toll on all of us. Just to see the sisters, though, for all of us, how this is their life. KYLE LOECKER (Seminarian): I thought that two hours was a long time, but, you know, it really seems like it, you know, when you're hands are getting really, really raw. And just that type of service, it really reminds me to be intentional with my actions and to be mindful of the people that I'm serving, even though it's indirect. BENJAMIN BAKER (Seminarian): I want to really encourage my future parishioners to go to “the other side of the tracks,” to break free of the comfortable suburban sanctuaries that we've built and to really engage in what reality is. That way we can really learn to build up the body of Christ. MICHAEL GARRICK (Seminarian): There's so many people here that may be poor financially and monetarily, but they're so rich in so many other areas of their life that it just elevates us to become, try to be better versions of ourselves. NICHOLAS SMITH (Seminarian): Simplicity has always attracted me, because I think of simplicity as material simplicity, as being as the Missionaries are. They are totally poor. They make their lives simple so that they can be free to serve others, but also that penetrates deeper into the disposition to serve in terms of singleness of purpose. REV. STEVEN BORELLO (Spiritual Director, St. John Vianney College Seminary): It will make me a better priest by simply recognizing how uncomfortable I am in difficult situations and turning more and more to the Lord and asking the Lord to walk me through them—lacking and recognizing that and asking for myself for that grace to be far more generous. DE SAM LAZARO: Even as the Missionaries of Charity keep their public profile low, their founder remains a towering figure here and around the world, drawing pilgrims, priests, and would-be priests to the city that in her canonization became part of her name. At the headquarters of Saint Teresa of Calcutta, this is Fred De Sam Lazaro for Religion & Ethics NewsWeekly. Correspondent Fred de Sam Lazaro travels to India with a group of Catholic seminarians from Minnesota, to experience for themselves Kolkata’s poverty and the ministry of the late Saint Teresa of Calcutta. They visited Mother Teresa’s Missionaries of Charity that continues to provide care for the poorest of the poor, including patients with leprosy.